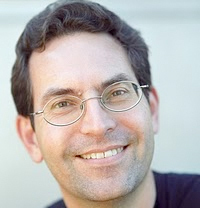 John D. Halamka, MD, MS, is CIO of Beth Israel Deaconess Medical Center, Chairman of the New England Healthcare Exchange Network and Co-Chair of the HIT Standards Committee. He blogs at Life as a Healthcare CIO, where this post originally appeared. On March 20, CMS released its proposed Stage 3 rules and certification critieria for eligible hospitals and providers. This analysis by Micky Tripathi and John Halamka, MD, goes through the good, the bad and the ugly of it all. My 83 year old father-in-law returned from a recent outpatient visit to his primary care provider with two customized handouts – a transition of care summary detailing problems/meds/allergies and an opt-in consent for the exchange of that care summary over the state Healthcare Information Exchange, the MassHIWay. One of the most frequent complaints in John Halamka's email inbox these days is that electronic health records are filled with data, but little knowledge or wisdom. The era of Ebola, he says, has accelerated the urgency for us to rethink the way we document. In the realm of e-prescribing, there remains one key issue to bring to light, says John Halamka, MD, of Beth Israel Deaconess Medical Center, and that's the need for increased industry awareness and adoption of the full functionality already present in e-prescribing standards -- in other words, going beyond the core requirements of meaningful use. This morning, National HIT Coordinator Farzad Mostashari resigned. His letter to ONC staff was profound. As I read it, I felt a lump in my throat. He will be missed.